Mannequins are terrifying, which makes them perfect for a horror game. Late Night Shop is early into development, but I’m sold on the concept. For reasons unknown, players find themselves in a mall late at night, and realize the usually benign mannequins are following you around. 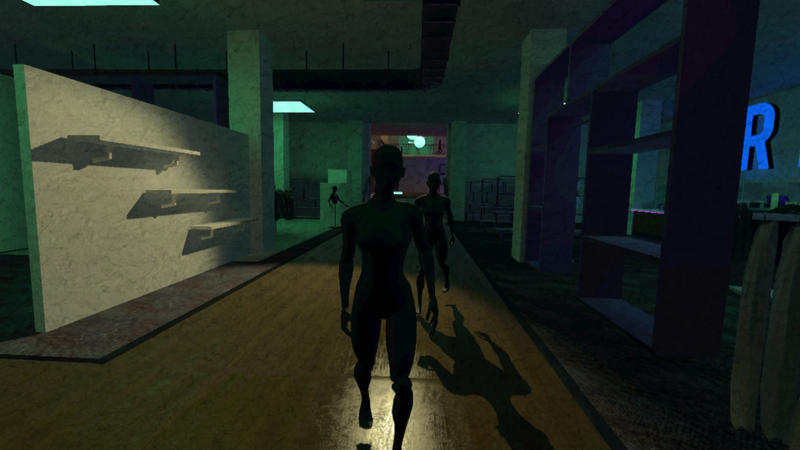 The mannequins only move when you’re not looking at them, which becomes the player’s survival strategy. When you move, do so with purpose! Did you catch that blink? In addition to allowing the mannequins to move when you turn your head away, the player will actually shut their eyes every few seconds, giving the mannequins an opportunity to ever-so-slightly shift. This seems like the kind of game that’s perfect for VR. In fact, you can download an early version of the game right now, which is playable with or without VR. Apparently, the developers are also working on a multiplayer mode where one person is trying to escape, while the other is swaps between the mannequins in pursuit. Seems like it’d be difficult to signal when it’s OK for the mannequins to move around, but hopefully that’s a solvable problem—it could turn out great.